Randall Thomason has been a research biochemist and consultant for over 25 years in laboratory and clinical disciplines focusing on disease prevention and treatment, behavioral, performance and nutritional enhancement for animal and human application. The biochemist also provides wellness consulting for humans and animals. Thomason’s philosophy is that we are living in an over-medicated society and that the “trigger is pulled” all too often to dispense drugs and vaccines that can create their own complications over and above whatever they are used for. Because the origins of many drugs were discovered in nature through botanical identification, he strongly advocates the use of proven natural interventions that can help the body fight the sickness of disease while building the immune system simultaneously. Thomason received his Masters at the University of Washington, Seattle, and has worked clinically with animals at this University as well as Puget Sound University in Tacoma, Washington and Oregon State University in Corvallis, Oregon. The focuses of the studies were clinical nutrition, supplementation, alternative disease therapy and hormone influence of immune corridors. He has lectured throughout the US and has diversified his talks in a variety of arenas including anti-aging and natural hormone replacement therapy, immune enhancement and disease prevention, alternative medicine, neurological diseases, performance enhancement, body fat reduction and sports nutrition. Many of these and other topics have focused on both animal and human issues. Thomason is a frequent guest lecturer and was the co-host of the local Phoenix show “Health, Nutrition & You” and the nationally syndicated Genesis Nutritional Science Forum. He has lectured at the American Veterinary Medical Association annual convention in Chicago, Leukodystrophy Conference of Toronto, American Holistic Medical Association in Virginia, United States Department of Agriculture in Seattle, Illinois Government Conference in Springfield, University of Washington Athletic Department, Seattle, American Pharmaceutical Association in Boston and University of Cal/Berkeley Science Department to mention a few. 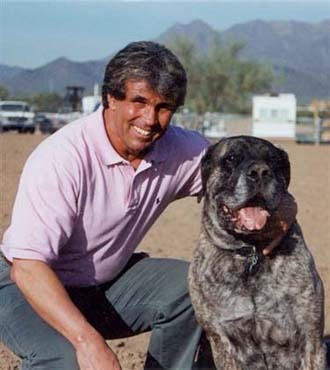 He also has years of contract work as a formulator for nutritional supplement companies such as Animal Formulations, Rich Life, Radiance Nutritionals, Genesis 2000, Health Designs Northwest (human and veterinary lines), Pro Line Performance and Pet Health Pharmacy. Thomason is a member of the American Chemical Society and Rotary International. Rogue Research LLC established in 2003 specializes in research on health and wellness issues and the design of custom and non-custom, health and performance products for equine, pet, and human application. As a research biochemist, Thomason developed a “patent pending” Biochemical Biomedical Identification Diagnostics (BBID) technique to more effectively evaluate biochemical status at the cell level as evidenced by routine biomarkers found in laboratory reports . His analysis addresses neurological, metabolic, immunological, endocrinological, musculoskeletal and genetic parameters to support his recommendations. 2008 A pharmacognosy approach to conventional drug therapy for reducing serologic titers in canine subjects diagnosed with the fungal disease, coccidiodomycosis. 2005 The feasibility of automating Biochemical Biomedical Identification Diagnostics (BBID), Arizona State University/Commercially sponsored.